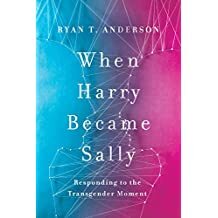 Although written from a secular perspective, this book provides a forceful, common-sense, medically authenticated response to the movement that is now sweeping society. With compassion, Anderson shows why the arguments in favor of the movement are not sustainable, speaks to what is going on currently and what an appropriate response would be. Very informative and credible.